Who said that it is essential to have a large plot and a thick wallet to make your pool dream come true? Even if you have a small home and a limited budget you can still create a great landscape with a beautiful swimming pool. 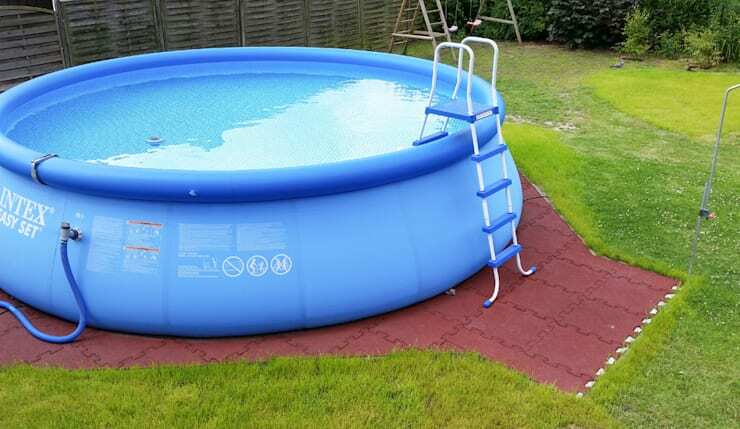 Here are six different mini pool designs, which have a lot to offer, despite their small size. This picture proves that even a small pool can provide a lot of luxury. The pool is situated on a slightly elevated ground in the garden which also serves as a terrace. The edge of the swimming pool has a large cushioned seat that makes for a perfect place to sunbathe or relax in the evenings. The pool also has a mood lighting system that can make it glow at night and can also be customized. On the other hand, this luxurious pool has a sophisticated heating system which ensures that a pleasant water temperature is maintained throughout the year. Inflatable swimming pools are a great option for those who are on a tight budget and are looking to use them only during the summer. 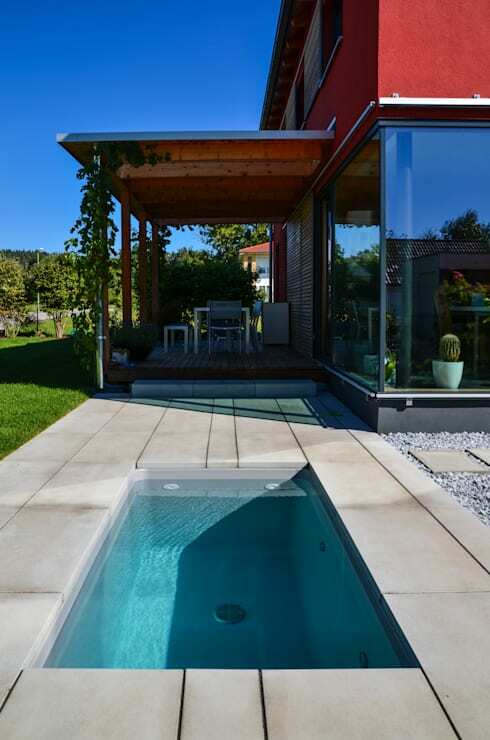 Although this pool is small, it is still effective in providing solace to the whole family during those hot summer days. They also make for the perfect mini pool for your balcony and are easy to setup. Our expert tip while using this pool is that one should be aware as not to injure themselves. Our experts from Design@Garden created a mini pool design so that people could use them all year round. This pool is known to provide a cooling effect during the summer months whereas it serves as a sauna tub during winters. Special LED lights have been placed within the swimming pool to give it an impressive mood light effect at night. The depth of this swimming pool is the key feature that extends up to 1.35 meter and allows you to do a round of water gymnastics easily. 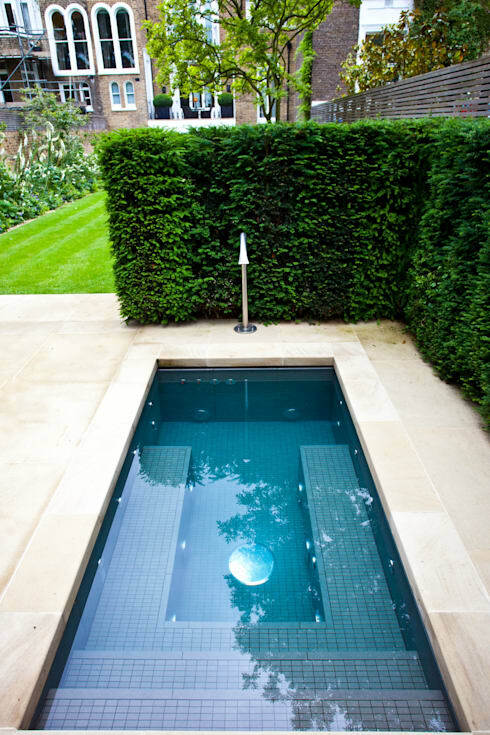 This design is the perfect alternative to a traditional mini pool in your garden. It is located in the Mojave Desert of Southern California. The pool was set outdoors so that it could be the perfect oasis for those who are looking to get rid of the desert dust and heat. 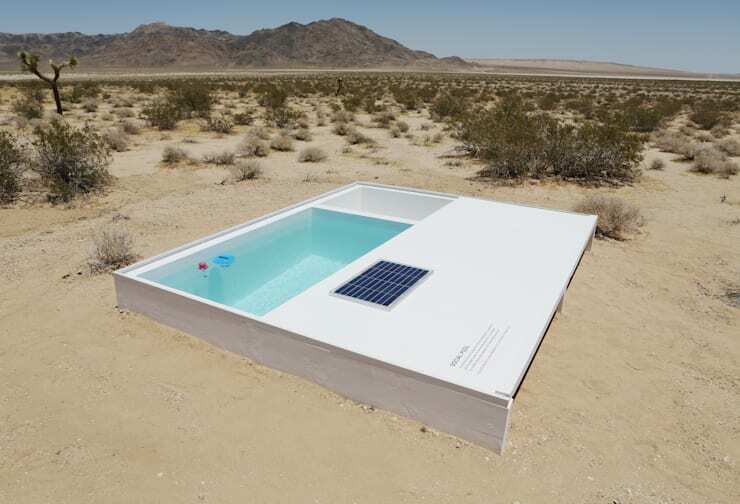 Alfredo Barsuglia is the designer of this fantastic mini pool, who also wanted to combine minimalistic designs with big corporations like MAK Center for Art and Architecture. The project is based on inviting people to use the hidden desert pool and become a part of this extraordinary art project. This indoor paradise is the perfect solution for those who do not have a lot of space but are still looking to fulfill their dream of owning a swimming pool. This pool not only provides you with a good spa experience but can also come in handy, while you are looking to train seriously and get great results. The sophisticated countercurrent system of the swimming pool ensures that you receive an excellent training environment. It can also be the perfect mini pool for your terrace. 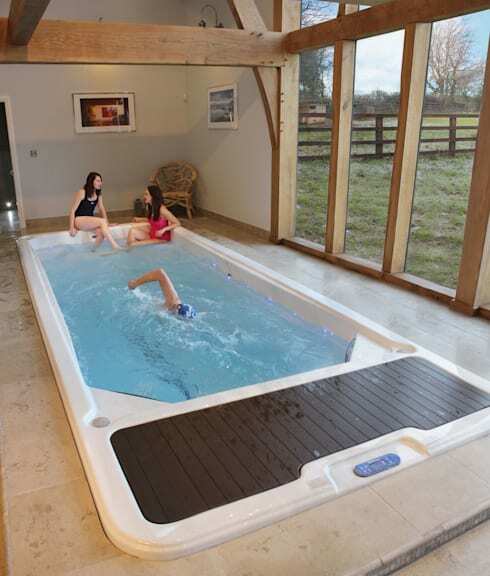 This mini pool might not be suitable for swimming, but it is definitely a great choice when it comes to relaxing. Due to its eight different massage jets, which are designed to work on tense muscles, it gives you a one-of-a-kind experience. Along with this, the submerged benches are also perfect for having a relaxing conversation in warm water along with your family or friends. Which one of these pools was your favourite?